The Libbys serve in Lemon Grove. While serving on a Caravan team to San Felipe in 1995 with Hope Church from Lenox, Massachusetts, Kristi was called to full-time ministry with Mexican Medical. After a year in language school she served for a year in Mexico between Hospital El Buen Pastor in San Quintin and El Buen Samaritano in Tijuana, working as a staff nurse. In 1998 she started serving in the office as Medical Services Coordinator. Kristi coordinates the Weekender, Medical Outreach and Dental/Surgical teams. 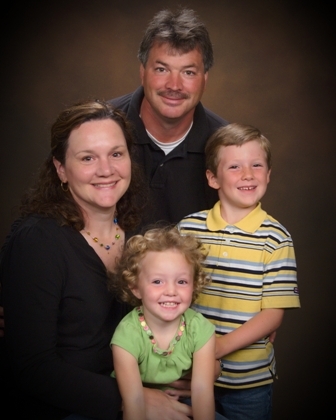 Craig joined the Mexican Medical family in January 2005, and now serves as vice president. He really enjoys working with the caravan team leaders and helping them prepare their teams for Mexico. Josh joined the family in June of 2005 and has won over the hearts of everyone he has met both in the United States and Mexico. Katie was born in May of 2008 and is already making new friends in Mexico. Together the family is always ready to lead teams as needed. We love to see God’s healing hand at work through the teams. That many will come to know Christ through the teams.